Nextide Academy is a premier American online middle and high school founded with a vision of taking high quality, flexible and affordable education program across the globe and create a world class community of learners. Nextide Academy programs are the result of collaboration by educators and professionals. Our methodologies and technologies not only make learning fun but also prepares the students to address the demanding nature of future jobs. We strive to provide a rich, diverse and unique culture where the students learn to develop a self organized environment and offers a unique curriculum that encourages to share the knowledge with their peers. Nextide Academy is also equipped with the technology to provide insight into the natural talents/affinity of our students and tap the same for higher success levels in education and life. We have built a network of engineers, doctors, scientists, educators and other professionals. Each of our full time students will have access to these resources that can provide guidance for success in high school and beyond. There are many different ways of modeling the ways of learning. No one model provides a complete description of learning, and no single learning style is superior to another. However, it is important to be aware of your own learning style preferences so that you can make the necessary adjustments to maximize your learning. In this era information is everywhere and you have the reach. With our global network of facilitators, counselors and real world professionals to shape your future career(s), you will experience differentiated pedagogies like problem-based learning, active learning, cooperative learning, just-in-time learning, student-centered learning, case studies, writing to learn, group learning, assessment as learning, and service learning as part of our curriculum. These have largely been designed to teach to a wide variety of learning styles and to facilitate learning the content and skills encompassed within “significant learning”. 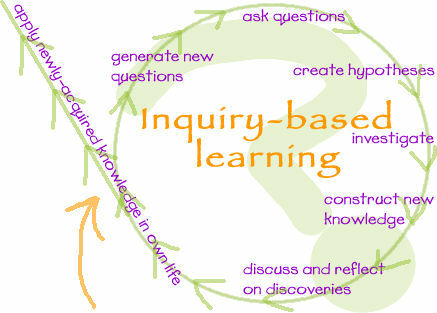 We at Nextide Academy have incorporated a Problem Based Inquiry (PBI) approach, a student-centered pedagogy in which students learn about a subject through the experience of problem solving. As part of our requirements to graduate, our students will have to successfully complete a multi-disciplinary project every academic year where they learn both thinking strategies and domain knowledge. The topics for the projects will be aligned to the affinity areas that are tracked throughout their school year and the student interests expressed. We are all peers – that includes our students, teachers, facilitators, student advisors, student counselors, and a strong network of real world professionals. Nextide Academy has partnered with the University of Auckland, New Zealand to use Peerwise, an ask, learn and share system. As peers, everybody at Nextide Academy participates this system for group learning on various subjects. Student activity on Peerwise is graded and the Nextide Academy rubrics are designed to include the same as part of the overall grade. Reports from this system also allow for tapping areas of individual student’s interests based on student activity and act as input for student PBI projects. The inspiration for Nextide Academy came from an MBA Capstone Project at the Johns Hopkins University. Doctors, engineers, scientists, professors, etc. from all over the world donate their valuable time for Nextide Academy just because they believe what we believe – Education can provide the change to make this world a better place. Nextide Academy will soon begin its foundation wing to provide scholarships on a need basis.